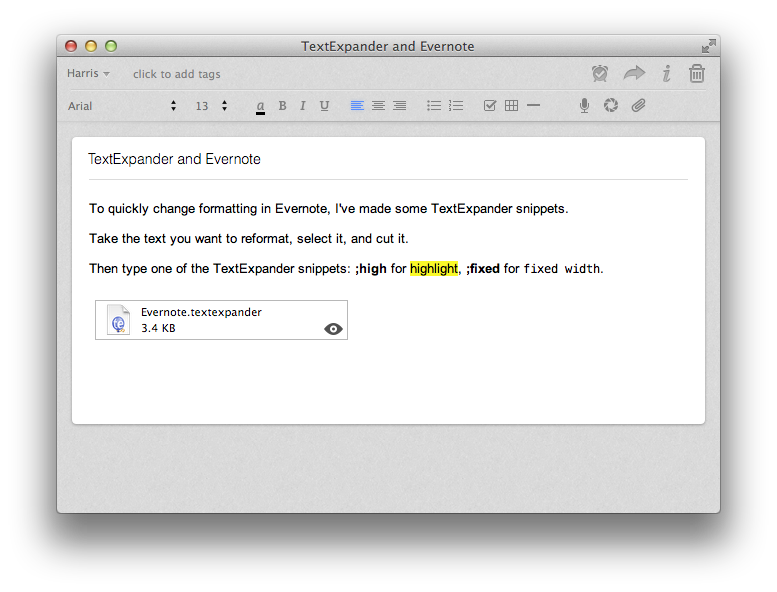 To quickly change formatting in Evernote, I've made some TextExpander snippets. Take the text you want to reformat, select it, and cut it. Then type one of the TextExpander snippets: ;high for highlight, ;fixed for fixed width. Props to FastMail for having sensible class names. I spend a lot of time dragging and dropping formulas from Brisk into Pages as PDF objects. You can accomplish this by holding command+shift while dragging and dropping!